5 Christmas Breakfast Recipes - #BakingCrumbs December-2018 - Apply to Face Blog. A BIG CHRISTMAS WELCOME TO ALL YOU #BAKINGCRUMBS FOLLOWERS/READERS AND BAKERS. 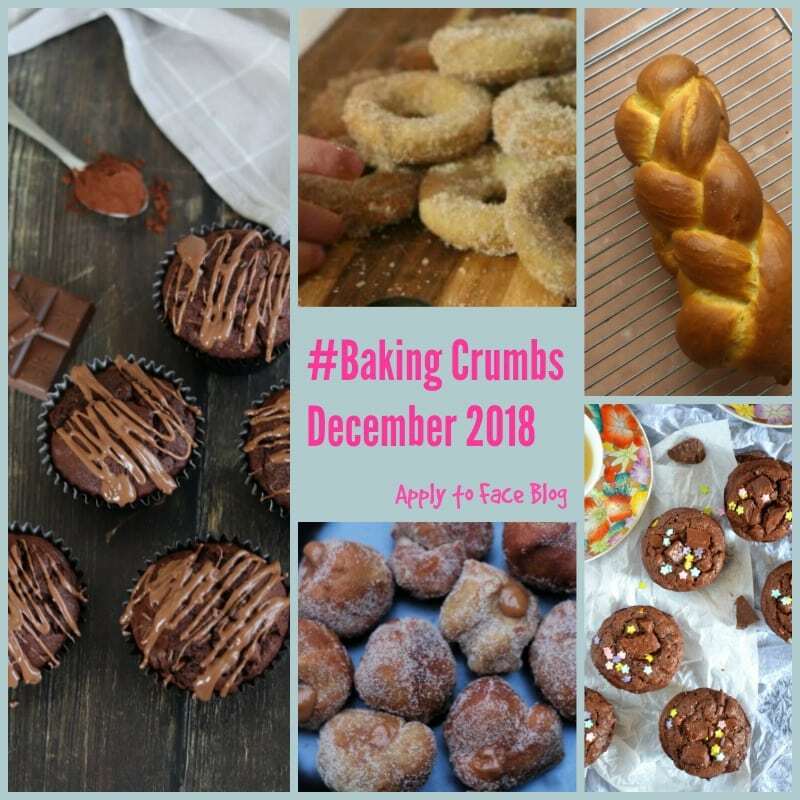 It is my absolute pleasure to host December 2018 Baking Crumbs. Most appropriately this is my virgin linky and I am definitely filled with the Baking Spirit. I have had an absolute Xmas ball reading all the linked up entries and am very excited to bring them in front of you here at the figurative baking manger. I am of course missing Angela, our former host but am loving her fabulous pottery pieces that she is currently busy creating. If anyone is looking for a special gift for someone then do check out all her wonderful pieces here at her Etsy shop. NOW ONTO THE EXCITING BIT…….THE DECEMBER #BAKING CRUMBS LINKY. 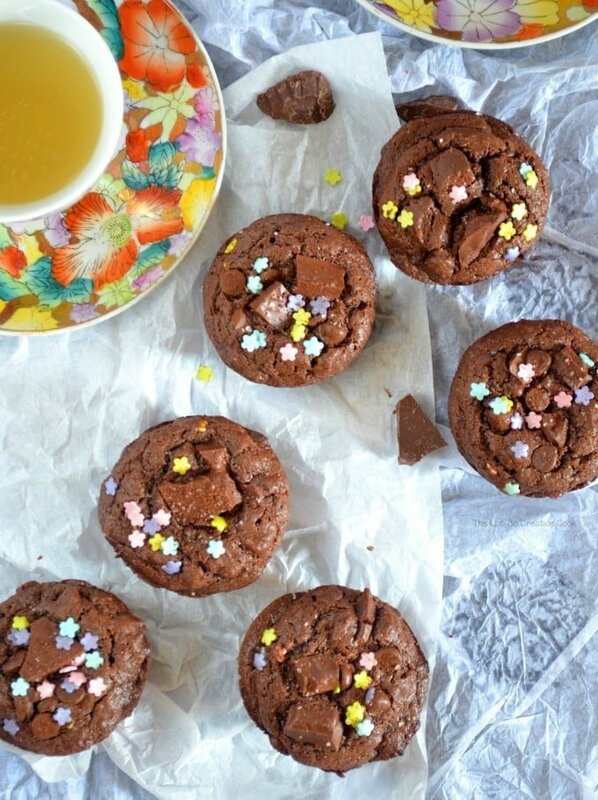 These Muffins had me at “Chunks of Chocolate.” Oh my goodness these are special indeed. Crammed to the very top with Dark Chocolate they are perfect for Xmas morning. Simple and no fuss with maximum taste results and bags of indulgence. Pass me the Bucks Fizz….. These bronzed babies had me at Doughnut. I can just imagine biting into these crisp, cinnamony sweet clouds of heaven on Christmas morning. 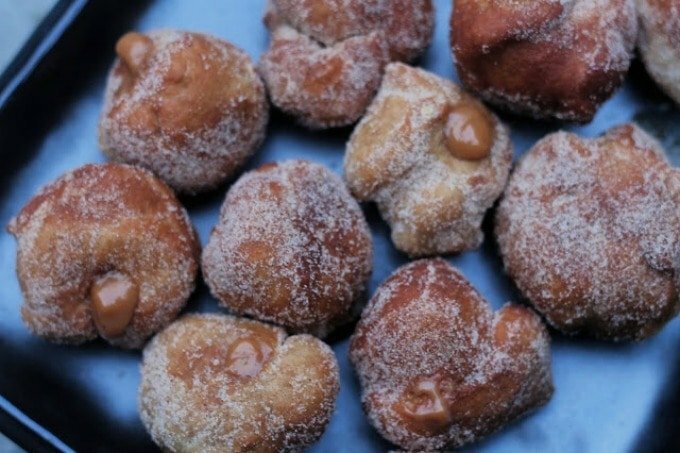 I bet you could make the doughnut dough the night before and get it out early to come up to room temperature ready for a bit of deep frying action and rolling in festive spiced sugar. Oh Santa Baby…….. 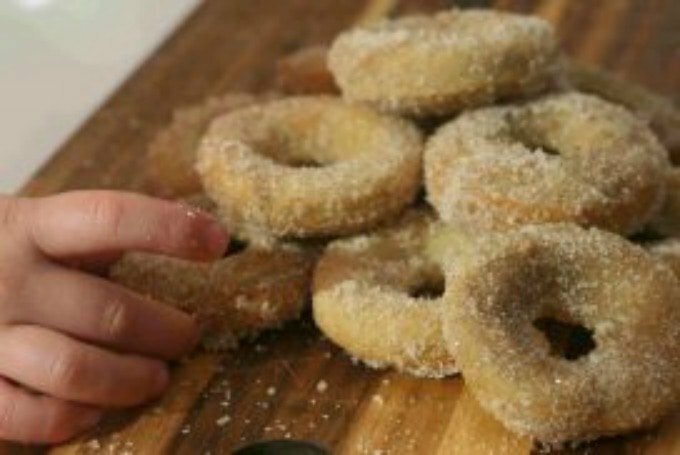 Baked Apple Cinnamon Doughnuts from Cooking with my Kids. 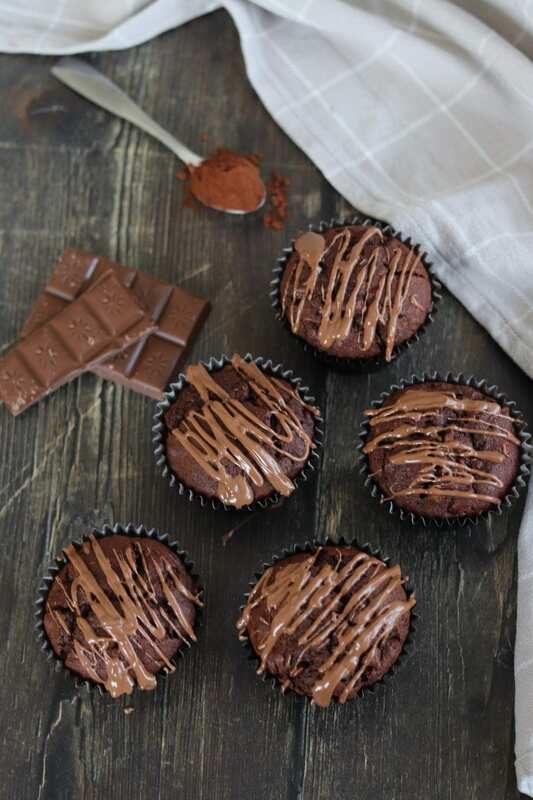 These Muffins are moist and full of banana and chocolate. Just what is required on a Xmas morning. They are made even more fabulous with their final chocolate drizzle. How wonderful would these look on your Xmas Breakfast Table. These too can be made a day ahead leaving you to just simply grab and apply to your Xmas face. You could even leave one out for Rudolph on Xmas Eve….. 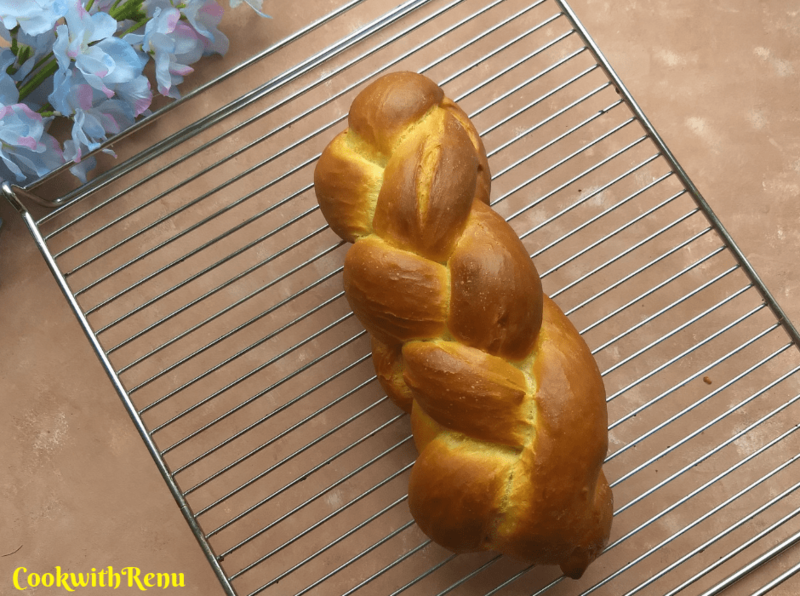 This Challah Bread would be perfect for a Toasted Smoked Salmon and Scrambled egg kinda of a Xmas breakfast. Luxurious as well as stunning this plaited beauty would make anyone’s Xmas morning a very special affair. This recipe is for two loaves so you could even give one as a gift on Xmas Eve to share the Xmas Breakfast Love. Just perfect….. I hope you have enjoyed this December #BakingCrumbs Linky with me and I hope you are feeling inspired to try some of the recipes included here. What did I recreate this month in Apply to Face’s Kitchen? 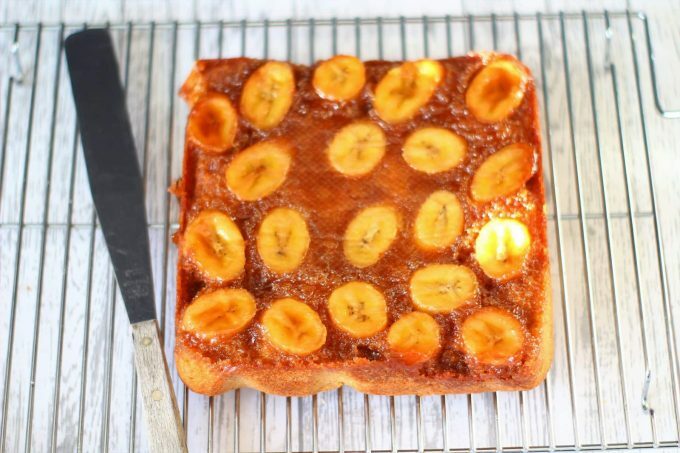 For my part I couldn’t help myself but make this Caramel Upside Down Banana Cake from Searching For Spice. Forever I have been meaning to bake an upside down cake. I just love the retro feel of them. So when I saw this recipe I absolutely knew I had to make it and it was just as good as it looked! My children went absolutely potty for it! Thanks Corina! A very special cake. Now onto January’s #BakingCrumbs Linky. Please include a link to this post on Apply to Face Blog and a link to Jo’s Kitchen Larder in your post. Join us in making this a great baking community by sharing the blogging and baking love! Do spend some time commenting on, sharing, and yumming those bakes which catch your eye using the #BakingCrumbs hashtag so people know where you’ve come from! You’re also invited to join the Official Baking Crumbs Linky pinterest group board! Just drop Jo a note and she’ll get you added to the board! We will both be commenting on all of the bakes entered into the #BakingCrumbs linky. We will also be sharing your delicious bakes on Twitter, as well as Pinning and Yumming them (where there is a ‘Yum’ button)! At the start of each subsequent month (usually on the 1st) either Jenny or myself will share a ‘highlight’ round up, as well as highlighting what we were tempted to recreate in our own kitchen that month. What a delicious looking round up Jen – they all look amazing but I’ve gotta say, those Christmas spiced doughnuts are really calling my name! Absolute pleasure! Yes of course it’s ok to share, in fact it’s great!! I’m so pleased you all loved my banana upside down cake! I will be linking up something again this month but just need to make it first! Pleasure Corina it was delicious!I so know that feeling!Look forward to reading about it! Jenny!!! Thank you so much for including my muffins!!! Thanks Angela! Absolute pleasure. You pieces are just beautiful! Glad to see you taking on the Baking Crumbs mantel. Baking will always be my first love and everything here looks delicious, especially that banana upside down cake.